You've seen hockey players enjoying their sport, and figure skaters doing the same. Do they use the same skates? What's the difference between hockey skates and figure skates? There are a few differences, but the differences between a hockey skate and a figure skate may not be easy to recognize. A figure skating blade has toe picks -- or a jagged teeth-looking design -- at the tip and is usually longer and heavier than a hockey blade. Also, figure skate boots are usually made out of leather and are much more expensive than hockey skate boots. Hockey skates, which are used for ringette and ice hockey, have a boot that can be made of leather (usually synthetic leather) or plastic. They can also be made of nylon. Competitive ice hockey skates, or ones you see worn by professional hockey players, usually have a molded plastic for the boot, which can restrict mobility. That may sound odd but it fits the sport quite well. The same goes for figure skates, as they are made to accommodate mobility -- just in a different way. More recently, the boots have been made from synthetic materials as well, but some have the addition of a heat-modifiable lining. This lining gives the skate boot added strength in a lighter-weight boot. Compared to leather, they weigh less and are also easier for the skater to break in and get used to the feeling. Some figure skating boots have a hinge at the ankle that gives the skater lateral support and allowing for more flexibility. In ice dance, a discipline of figure skating, the boots are typically lower in the back so the skater can attain greater bend and flexibility in the ankle area. Some of those skating boots even come with a flexible elastic back. 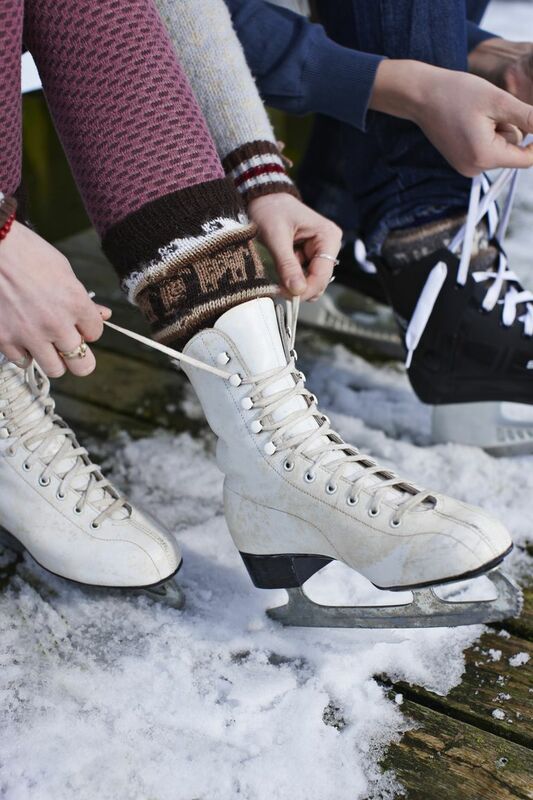 There are more differences between hockey skates and figure skates. Most of the time, a figure skate blade is separately mounted onto a figure skate boot, but hockey skate blades are generally riveted directly onto the hockey boot's base. There is not a single type of blade in figure skates, either. Typically, there are tapered figure skate blades, which are thicker at the front near the toe picks and thinner towards the back, or heel, of the boot. Side-honed blades have more of a concave design so they are thicker on the edges and thinner at the center of the boot. Then there are parabolic figure skating blades, which have a thinner middle but the ends are even wider than regular blades to give the skater better stability. Additionally, hockey skate boots are usually much more comfortable than figure skate boots. The toe picks on figure skate boots make it possible to jump and spin. On the other hand, the short light blade on hockey skates helps players with speed and quick stops. 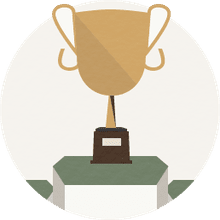 Again both the boots and blades on the different types of ice skates are made for different purposes and mobility ranges, so expect them to be quite varied in the materials used to make the skate, design and overall form of the skate.